This Year once again he Mid-West Baseball League will be supporting MLB’s Top 100 Prospects. 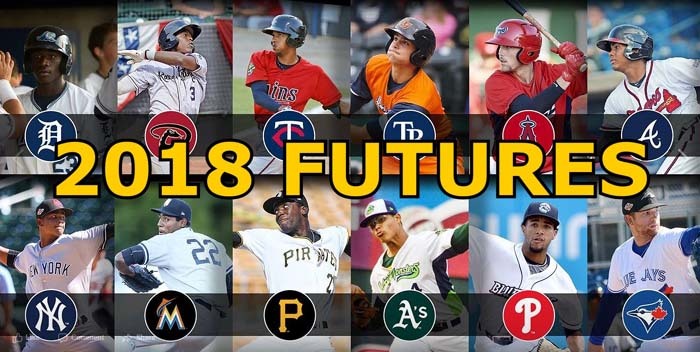 Former owner of the Iron City Yinzers Jonathan Mayo, along with his colleague Jim Callis – will bring us the 2018 MWBL FUTURES. Thanks Jonathan & Jim, you guys do a great job at mlb.com & the Mid-West Baseball League is once again proud to have called you our own. The MWBL always has an eye toward the future, & looks at which MWBL Franchises may have the brightest future ahead of them. The formula used for the “MWBL FUTURES” list is based on a 100-point system. The Top Prospect, according to Jonathan Mayo & Jim Callis of MLB.COM, receives 100 points, the second rated prospect receives 99 points, this continues until the #100th prospect, who receives 1 point. Each MWBL franchise will then have the points totaled for their prospects, which gives us an overall number and produces our “MWBL FUTURES” list. Here is the much-anticipated list for “MWBL FUTURE”.